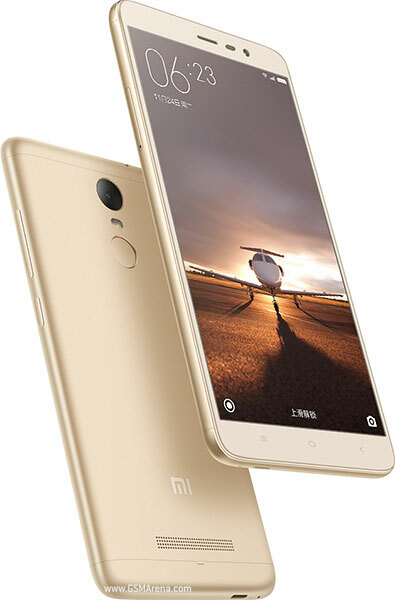 I have just gotten the Redmi Note 3 (Pro edition – with Snapdragon 650 CPU, also the Chinese rather than the International version, which is probably not yet available now and will obviously cost a lot more). There was an earlier release of this phone with the same name, but powered by the Mediatek X10 CPU. These days, there are more devices than there are ideas to name and distinguish between them (happens to Apple as well). For the current release of the Redmi Note 3 (RN3), there are two versions yet, one with 16GB/2GB RAM, and the upgraded one with 32GB/3GB RAM. I got the cheaper one of the two, which is probably more than adequate for me. From the very beginning of its existence, Xiaomi phones are unabashedly iPhone copycats, including the boxes in which they are shipped. I don’t care very much about the looks of a phone, so, i’m not bothered. The RN3 certainly looks like a budget phone despite the metal casing – the front glass looks nice but the back casing is obviously not very refined. The placement of the USB port at the bottom left hand side rather than the centre feels odd and very out-of-symmetry to me, but this may have been necessary to avoid running into lawsuits with Apple. The RN3 supports dual SIM cards which i will hardly make use of, but a welcome feature nevertheless. There is also an SD card slot, which is very handy for extending the limited space available on the 16GB RN3 (you only have slightly over 10GB of free space out of the box). Other hardware features are pretty standard except the inclusion of a fingerprint reader. I don’t think i will ever use it. Coming to the software, well, this is where you really “pay the price” for buying a budget phone. Most Android phones for the Chinese market are cut off from Google (there must be some exclusive deal made with Google – no where is the Google logo seen), and the RN3 is no exception. There is a workaround of course, which would have already been effected if you purchased your phone from a local seller, so you have your Google Play and all things Google available as usual. The language would have already been switched to English as well and I don’t see a single Chinese character appearing anywhere. The system settings are also properly translated, so, bravo Xiaomi. Everything worked fine on my phone, except Contacts. It A few things don’t work properly on the phone. Contacts refuses to sync with Google even after reinstalling Google Contacts Sync. Not a biggie for me, since my contacts list is rather static, and i can just do a one time import of the list like it’s done in the pre-Google days. There are other options as well, like hosting your own Calendar/Contacts server, which i’m probably too lazy to try. The bigger issue has to do with notifications – i don’t get notified of emails and instant messages reliably. I will monitor and report back if i get around this problem. I suspect that sooner or later, i will have to flash the Cyanogenmod ROM (no official ROM has been released yet for even the RN3 Mediatek X10 version, so the wait is probably at least half a year). The phone expectedly comes with quite a few apps pre-installed. After removing everything i could, i’m still left with those that are baked into Xiaomi’s ROM, like the browser, weather, games and themes apps. Cheetah Mobile’s Clean Master is also part of the package and cannot be removed, but i don’t mind that. The more annoying one is the Xunlei download accelerator thingy. When you want to download anything (regardless of the browser used), you’re prompted if you agree to using Xunlei, and if you disagree, the download is cancelled, so you’re basically forced to use Xunlei. That must be one of China’s major surveillance program – everything has to go through their server. The supplied contacts app is integrated with a “Yellow Pages” app that is obviously about advertising, as well as a paid VOIP service built-in, so i had to replace it too, and i chose one called “True Contacts” which is supposedly the original Google Contacts app. The default launcher for the phone is none other than MIUI. I really wanted to give it a chance, but couldn’t. It does look pretty, but it lacks an App drawer, and forces all apps to be displayed in your home screens (Huawei’s is also like that). No, i don’t want to display apps that i will absolutely not use (not even if they’re all put in a folder), like anything related to the Mi account. Mi wallet? Nah, not applicable. MIUI also comes with advertising in the “search function”, which you activate by swiping up from the bottom of the screen. I won’t use that search function, and i don’t even want it to be there, thank you. Nova launcher it is for me. All in all, RN3 is a very good and speedy phone for very little money. It can be tweaked enough to suit my needs, so i say thumbs up. I get regular ROM updates, and since a month or two ago, the notifications seem to be working. I still don’t get notified instantly, but at least i do get notified of incoming messages. Unfortunately, Xiaomi has also added an ugly search bar in the notification page. I accidentally soaked the phone in seawater and it died. Water-resistant it is not. There are vents behind that directly expose the phone to humidity. I wasn’t too bothered. The phone now cost only S$160 anyway. I’m happy to be able to ditch the phone. Problems with the phone got more and more obnoxious, the foremost of which was forced closures. Chrome gets this nearly every time within 30 seconds it is launched. Many other apps also get FC. I’m guessing that only Chinese apps work properly with the phone. As with the problem with notifications, after doing some tweaking around, i managed to get it working somewhat, but it still didn’t work properly. A phone is useless if its communication function doesn’t work as intended. I wanted to flash the phone to Cyanogenmod, but encountered too many blockages. The phone isn’t recognized when connected via USB to a Windows machine, though it worked with a Linux machine. The bootloader of the phone is locked, and Xiaomi’s online application for unlocking is broken. I couldn’t boot the phone into recovery mode, supposedly also due to the bootloader being locked. Basically, Xiaomi doesn’t want you to wipe its MIUI. I give up. Never again Xiaomi. Worse than Apple.